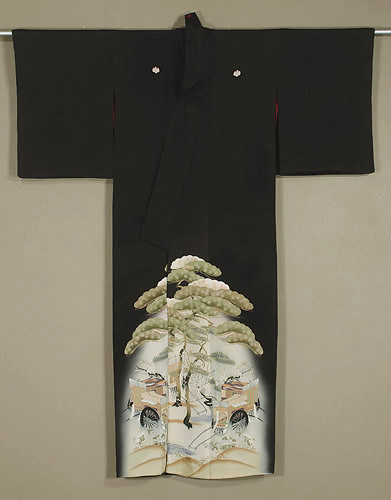 Chirimen silk crepe formal kimono with yuzen dyeing. The hand painting continues on the lining. 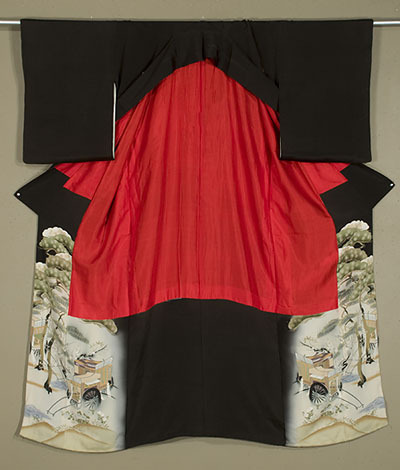 Red benibana upper lining. 47"across the shoulders; 58"long.